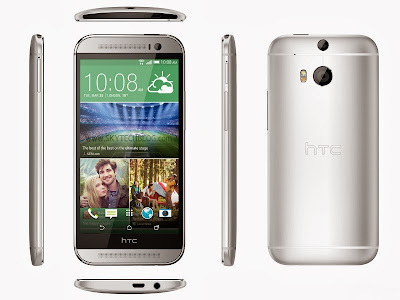 After all leaks and rumors HTC has finally announced the all new HTC One (M8). 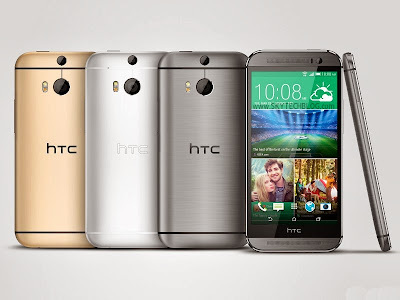 The all new HTC One (M8) boasts a 5.0-inch Full HD display with Corning Gorilla glass protection on top. The phone will come in two variants of processor a 2.5 GHz / 2.3 GHz quad-core Qualcomm Snapdragon 801 processor will be available depending on the market. Running on Android 4.4 KitKat OS it is equipped with the new HTC Sense 6.0 UI. There are two rear camera called as Duo camera setup with a primary UltraPixel camera (1/3″ BSI sensor, f/2.0 aperture, 28mm lens, pixel size of 2.0 microns) and a secondary rear camera to capture depth information giving a DSLR like soft background with UFocus feature in it. Just like iPhone it has dual LED flash that automatically selects the right tone and intensity based on the scene. For selfies there’s a 5-megapixel front-facing camera with 1080p video recording with HDR capability, f/2.0 aperture, BSI sensor and wide angle lens. And the battery is bumped upto 2600mAh.